Reyes Roofing Contractors, LLC is the leading roof replacement and repair company in Springfield, VA.
Reyes Roofing Contractors, LLC is proud to be the leading roofing contractor in Springfield, VA, serving the Northern Virginia area since 1991. We specialize in new roof construction, roof replacement, and roof repair for residential and commercial properties in Springfield, VA and surrounding communities. We believe in achieving the highest level of excellence by providing our clients with accurate, up-to-date information on all of the quality roofing products from the best manufacturers around. Reyes Roofing Contractors, LLC is certified as a CertainTeed SELECT Shingle Master, CertainTeed Silver Star Contractor, and Velux Five-Star Skylight Installer. We have achieved a high level of customer service, which is reflected in our Better Business Bureau (BBB) rating of "A+". We are also a member of the National Roofing Contractors Association and the Virginia Association of Roofing Professionals. As a residential home owner, you may be looking to restore an old roof, fix a leaky roof, replace damaged or missing shingles, repair a section of your roof damaged by a recent storm, or even construct a new roof. Reyes Roofing Contractors, LLC can handle all of your roofing projects. As a commercial property owner, you want to keep your business property looking well maintained and polished. 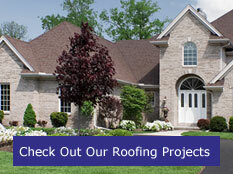 Reyes Roofing Contractors, LLC can provide regular care and maintenance of your roof system. If you live in or near Springfield, VA and are looking for a high quality roofing contractor for your new roof construction, or roof replacement or repair needs, Reyes Roofing Contractors, LLC is simply the best choice. 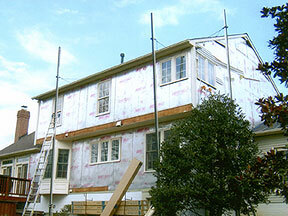 Click here to see our roofing project gallery. Contact us at Reyes Roofing Contractors, LLC with any of your roofing questions in Springfield, VA.